Snapseed has become one of the most popular photo editing applications on iOS since it hit the App Store in June of last year, recently picking up Apple’s ‘iPad App of the Year’ award for 2011. And it’ll soon be available on your Mac, with its developers Nik Software announcing at CES that it is currently making its way to the Mac App Store. Snapseed offers all sorts of fancy features to iOS users, allowing them to edit and manipulate the images they snap on their iPhone, iPad, or iPod touch while they’re on the go. What’s great about Snapseed is that you don’t need to be a professional photographer to enjoy it — anyone can pick up the app and transform their photos using its simple user interface. The application has already been submitted to Apple for approval, so it could make its Mac App Store debut any day now, and when it does it’ll sport a price tag of $19.99. Of course, it’s never going to replace the likes of Photoshop for you professionals, but for casual photographers wishing to spruce up their snaps, it works wonders. 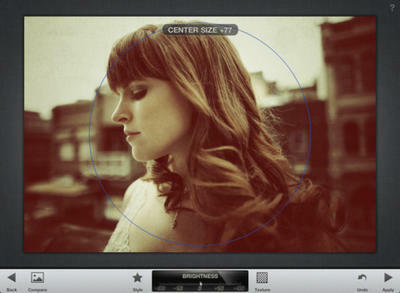 Have you been using Snapseed on iOS, and will you be purchasing it for your Mac?